Putin: Internet is a "CIA project"
MOSCOW -- Russian President Vladimir Putin on Thursday called the Internet a CIA project and made comments about Russia's biggest search engine Yandex, sending the company's shares plummeting. The Kremlin has been anxious to exert greater control over the Internet, which opposition activists - barred from national television - have used to promote their ideas and organize protests. Russia's parliament this week passed a law requiring social media websites to keep their servers in Russia and save all information about their users for at least half a year. Also, businessmen close to Putin now control Russia's leading social media network, VKontakte. Speaking Thursday at a media forum in St. Petersburg, Putin said that the Internet originally was a "CIA project" and "is still developing as such." 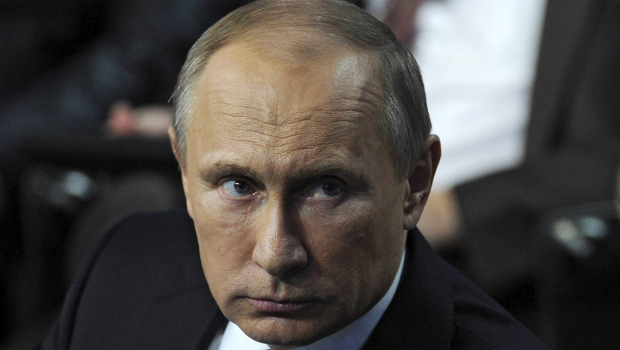 To resist that influence, Putin said, Russia needs to "fight for its interests" online. A Russian blogger complained to Putin that foreign websites and Yandex, the web search engine which is bigger in Russia than Google, are storing information on servers abroad, which could be undermining Russia's security. In his reply, Putin mentioned unspecified pressure that was exerted on Yandex in its early years and chided the company for its registration in the Netherlands "not only for tax reasons but for other considerations, too." Although Putin's comments didn't include any specific threats to Yandex, one of Russia's most successful tech companies, its shares plunged by 5 percent at the Nasdaq's opening on Thursday.